Just a decade or so ago, the concept of being able to purchase marijuana out of a vending machine would have been simply unheard of – a pipe-dream for many and a veritable nightmare for others. Now, it’s becoming more and more a reality, with companies popping up throughout the world that are focusing heavily on determining ways in which to jump on the medical and recreational marijuana bandwagon. A handful of growing boutique companies are working on creating ways in which to market vending machines that would allow medical marijuana patients (and possibly recreational users in certain states) to legally purchase marijuana while on the go. Each company’s machines feature state-of-the-art technology that not only ensures safety and security with each transaction but will also keep the herb out of the hands of those who are not legally allowed to purchase it. The push towards marijuana vending machines comes at a very interesting time for the herb. The marijuana industry is exploding at an alarming rate, with companies of all kinds doing whatever possible to corner a specific area of the market. Marijuana vending machines are just another example of ways in which to capitalize on the shifting policies regulating the infamous plant, with many more innovative concepts sure to pop up as the industry continues to flourish. In order to gain a better sense of where marijuana vending machines are going in both the short and long term, it’s important to take a closer look at a few of the more prominent companies getting involved. Medbox (OTC: MDBX) is perhaps the most well-known company in the field, marketing a product that is not dissimilar from the Redbox DVD and video game rental service that has all but taken over the entertainment industry in the country. 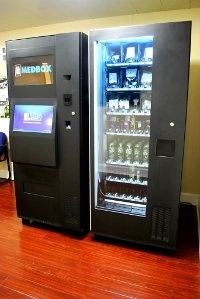 The difference, however, is that users won’t be able to simply waltz up the machines and grab as much marijuana as they want; Medbox machines are meant to sit behind dispensary counters, and they feature a variety of protective features that ensure only card-holding patients can access the medicine. Tranzbyte Corporation (OTC: ERBB) sees things a little bit differently. The company’s vending machine design is nothing if not trendy, and Tranzbyte hopes to corner both the medical and recreational markets for marijuana, focusing on states such as Colorado in which recreational use of the drug has been legalized. In this scenario, users in areas where recreational use is allowed would be able to easily purchase the herb without hassle. The company is even working on developing apps for iPhone and Android platforms, which would allow users to make purchases without having to interact with the machine in any way other than bending down to pick up the product. 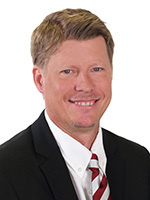 Finally, there’s Can-Can LLC, recently acquired by Endexx Corp. (OTC: EDXC). Can-Can’s vending machines look exceedingly similar to the classic “soda can” machines that can be found in every corner of the world, and they are meant to offer a discrete, professional method for users to purchase marijuana in areas in which it has been legalized for medicinal or recreational purposes. It’s just one more example of a company looking to take on the industry. Investors have a lot to clamor over when it comes to the marijuana industry. Policies throughout the country are changing at an alarming rate, making it more and more of a reality that people will soon be able to purchase the herb in areas in which it has been legalized through fast, simple methods like shopping at a vending machine. As one might expect, many companies looking to corner the market are seeking investor funding, highlighting the growing industry’s potential for widespread growth as a major reason to jump on-board. Since marijuana is still not legal on a federal level or in many states, it’s unclear as to whether or not these vending machines will be available for use in certain parts of the country. Needless to say, however, states such as Colorado, California, and Washington are prime candidates for test-runs of the machines, and they may serve as the frontier for this new, burgeoning industry. As things continue to progress, it’s only going to get more and more interesting for investors looking to capitalize on the growing trend of easing attitudes towards marijuana.